According to several sources, first reported by NFL.com’s Ian Rapoport, it appears Patriots rookie running back Sony Michel may have dodged a bullet and his injury may not be as serious as first thought. Michel went down awkwardly and his leg twisted under him. At first glance, it appeared to be a very serious, perhaps season-ending injury. But now Michel may be only out for a short while. Regardless, Michel will be out at least this week and quite possibly several more, no one really knows for sure. If he is a week-to-week decision, that may change how the Patriots view the running back position and may opt to possibly promote someone like Kenneth Farrow from the practice squad if it is just for a very short period. Farrow played with the Chargers during the 2016 season. Appearing in 13 games, he rushed 60 times for 192 yards and caught 13 passes for 70 yards. Farrow is built slightly larger than James White or Michel, while only 5’9, he tops out at 219 pounds. While not the prototypical “big back”, he offers enough for the Patriots to maybe get some production from. The other two options are signing a street free agent or make a trade. 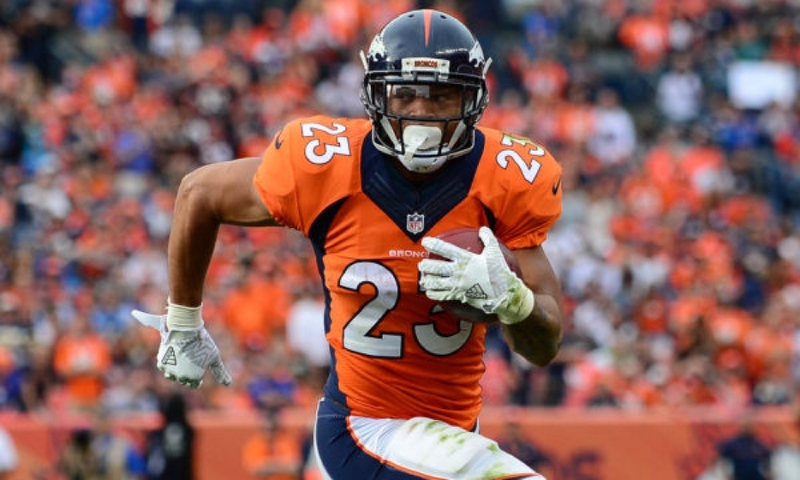 One possible trade option could involve the Broncos Devontae Booker. 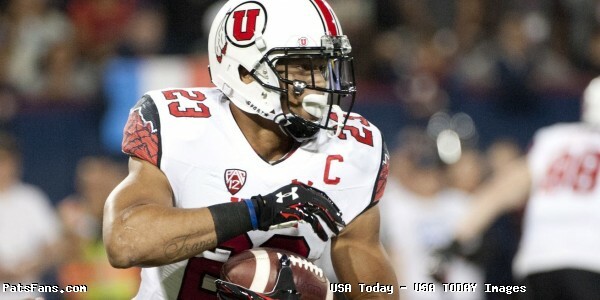 Booker was drafted by the Broncos in the 4th Round of the 2016 NFL Draft out of Utah. He’s 5’11, 219 pounds and has been dropped on the Broncos depth chart due to the emergence of running backs Royce Freeman and Phillip Lindsay. He has been dropped down to third on the Broncos running back depth chart behind those two and is barely seeing the field. Against the Cardinals, on Thursday night he got zero carries and just one catch in the passing game. Two weeks ago against the Rams, Booker had just two carries and caught two passes. A change of scenery could be just the thing that he needs to energize his career. Booker would be a nice fit in the Patriots offense because he’s a versatile kind of guy that they like. He can run the ball between the tackles and is a good receiver out of the backfield, something the Patriots like. Booker has the quickness to the hole and makes good sharp cuts at the point of attack. He has very good vision and is a great fit in a zone blocking scheme. The Patriots offense is a bit multi-dimensional, however, they utilize mainly zone blocking schemes in the running game. Sony Michel came from a zone blocking scheme in Georgia and it is easy to see how well he fits as well. Booker doesn’t have great, breakaway speed but has been a productive pass catcher out of the backfield. He caught 31 passes as a rookie for Denver and caught 30 more last season for 275 yards on just 38 targets. He’s just 26 and his contract for the balance of the season would be just $354,375. He is due just $720,000 in 2019. If Michel is indeed going to be out for several weeks, the Patriots will need to address the position and give James White some breaks. Booker is a decent runner and good pass receiver who would fit well within the Patriots system. He can probably be traded for from the Broncos to New England for a fairly cheap asking price. 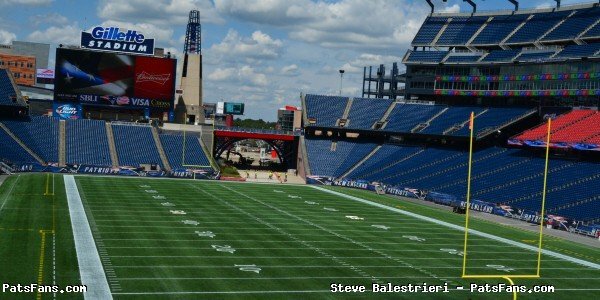 This entry was posted in 2018 Patriots Regular Season, NFL Commentary, Patriots Commentary, Patriots Injuries and tagged 2018 NFL Season, 2018 Patriots season, 53 Man Roster Projection, Bill Belichick, Denver Broncos, Devontae Booker, James White, Kenjon Barner, Kenneth Farrow, New England Patriots, NFL, Patriots, Patriots running backs, Sony Michel, Tom Brady on October 23, 2018 by Steve Balestrieri. 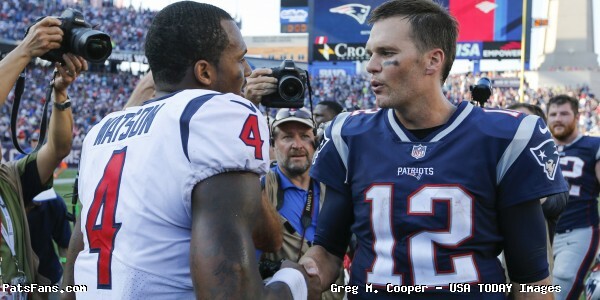 This episode, is our preview of the home opener for the Patriots against the Texans. However, we started the show by looking at the 53 man roster. After that, we made several season predictions. At the end of the show, we previewed the game. This entry was posted in Patriots Podcast and tagged 53 Man Roster Projection, Bill Belichick, Dont'a Hightower, Houston Texans, New England Patriots, Rob Gronkowski, Tom Brady, Trey Flowers on September 6, 2018 by Russ Goldman. The 2018 NFL season is finally upon us. And not a moment too soon. To say the offseason was overly long and contentious would be an understatement. But for a few hours on Sunday, we get to forget all of that and revel in the fact that the football season, with the games that count, is back amongst us. The Patriots 2018 season begins with a very familiar foe coming to Foxboro. While the Houston Texans play in the AFC South, they’ve been a familiar foe for the Patriots who it seems, play the Texans every season, including a couple of playoff games in Foxboro. Last year, the teams had a barn-burner with Tom Brady engineering a late drive with a perfect throw to Brandon Cooks for a game-winning touchdown with just seconds left. The 36-33 win by NE overshadowed the excellent game by Deshaun Watson who looked phenomenal for Houston in the 36-33 loss. Watson only played in seven games before tearing an ACL, but is now healthy and will start on Sunday. Front Seven One of the Best in the NFL: The strength of the Texans is their defense and when they’re healthy, (they are right now), they are one of the best front sevens in the entire league. Led by J.J. Watt, this unit can really get after the passer. Watt is healthy after a two-year slew of injuries forced him onto the shelf. Watt, Whitney Merciless, Jadeveon Clowney and newcomer Duke Ejiofor from Duke gives them a ridiculous embarrassment of riches in the front seven. Benardrick McKinney is the Mike linebacker and Zach Cunningham is the sideline to sideline linebacker on a front seven that has no weaknesses. Romeo Crennel will move these pieces around to where they feel they have the most advantageous matchups. In the game, last season, the Texans, sacked Brady five times for 41 yards. Bill Belichick minced no words on how good the front seven is for Houston on Monday. Watson Ready to Turn It Back On: One of the better stories of the early part of the 2017 season was the play of rookie QB Deshaun Watson. He was positively electric in the early going before tearing an ACL in Week 7 that ended his and the Texans season. Houston’s QB play was terrible after that and the injuries along the defense decimated what many thought would be a playoff team. But Watson is healthy now and despite a very limited preseason, he’s deemed ready to go for 2018. Last season in Foxboro in Week 3, Watson threw for 301 yards with two touchdowns and two interceptions and rushed eight times for 41 more yards. He had one play on a second and 22 where he looked like he was about to sacked twice, by Trey Flowers and Lawrence Guy, but spun out and left each holding air before delivering a strike downfield for 31 yards. Whenever they face a mobile QB, the Patriots preach containment, which means the edge players must set the edge and not allow the QB to get outside of their rush lanes. If Watson does it again, like he did a year ago, he’ll put up big numbers again and has his favorite target, De’Andre Hopkins who caught 96 passes for 1378 yards and 13 touchdowns while dealing with awful quarterback play after Watson went down. The Patriots defense will have their hands full on Sunday. Big Turnover in Texans Roster: Things are constantly changing in the NFL landscape and the Texans roster is no stranger to that. Not only does Houston have the 7th youngest roster in the NFL at 25.6 years of age as the average, they’ve had a massive turnover in personnel. Of the 53 players on the roster for the final regular season game of 2017, 31 of those players are gone. Of course, Houston had a rash of injuries last year with 24 players placed on IR. That, among other things, is why the team finished 4-12 and out of the playoffs. But this year’s team is expected to be much improved. Still, it is different to see a Houston roster without so many mainstays including inside linebacker Brian Cushing, punter Shane Lechler, guard David Quessenberry and tight end C.J. Fiedorowicz and others gone. Houston has some uncertainty with the defense and it centers around the safety play. Kareem Jackson is making the transition from corner to safety after the 8-year veteran has played in 116 games as a cornerback. The Texans safeties struggled mightily and it is hoped that Jackson will be a stabilizing force there. The team signed the “Honey Badger” Tyrann Mathieu as a free agent this year after he’s been bitten by the injury bug the past few seasons. When he was healthy, Mathieu was one of the more dynamic players in the league. The team drafted rookie Justin Reid in the 3rd round of the 2018 NFL Draft this spring and it is expected that he’ll be a starter and soon but for now, he’ll back up the other two. Being the first game of the season, there may be some communication issues back there once the game planning takes place. Especially with two new faces there. Foreman Begins Season on PUP: The Texans talented second-year running back D’Onta Foreman will begin the season on PUP after it appeared that he may be ready to start the season after tearing his Achilles tendon last year. The big 6’1, 235 bruising running back from Texas played a big part in the Texans offense a year ago in Foxboro. Although he rushed for just 25 yards on eight carries, he had two huge receptions out of the backfield for 65 yards, one for 34 and one for 31. With Foreman on the shelf until Week 7 against the Jaguars, look for Alfred Blue to get the majority of the snaps behind starter Lamar Miller. 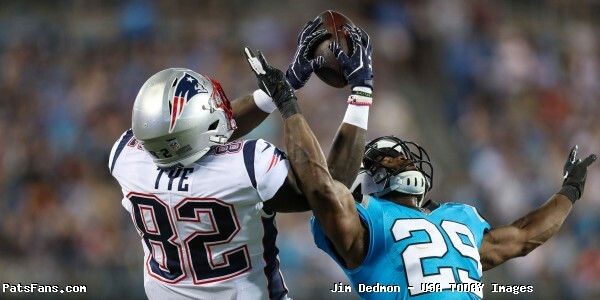 This entry was posted in 2018 Patriots Regular Season, NFL Commentary, NFL News, Patriots Commentary, Patriots News and tagged 53 Man Roster Projection, Benardrick McKinney, Bill Belichick, Bill O'Brien, DeAndre Hopkins, Deshaun Watson, Houston Texans, Jadeveon Clowney, JJ Watt, New England Patriots, NFL, Patriots, Rob Gronkowski, Romeo Crennel, Tom Brady, Whitney Mercilus on September 4, 2018 by Steve Balestrieri. With the reduction of the NFL’s rosters down to the 53-man league-mandated maximum, the Patriots were left on Saturday afternoon with just four wide receivers, one of whom, Matthew Slater, is a special team’s ace. They plucked two intriguing players off the waiver wire, Amarah Darboh from the Seattle Seahawks and Chad Hansen from the New York Jets. Both were rookies in 2017 and had scant production from their respective teams. But both enter New England with a clean slate and the opportunity to learn on the job. Learning on the fly is never easy, the Patriots offense and route tree for the WRs is complicated and not an easy one to learn. We’ve seen several productive veteran wide receivers come here and fail. So temper any expectations at the outset and let the process play out. At first glance, however, both players would be the type to fit in with what the Patriots offense likes to do. Will the Patriots make another move for a more veteran wide receiver? We still believe they will, but we’ll just have to wait and see. Hansen is just 23 and spent last year with the Jets after being drafted by the Jets in the 4th round, 141st overall in the 2017 NFL Draft. In his only season with the Jets, he played in 15 games and caught nine passes for 94 yards, including one for 15 against the Patriots in the regular season finale in Foxboro. 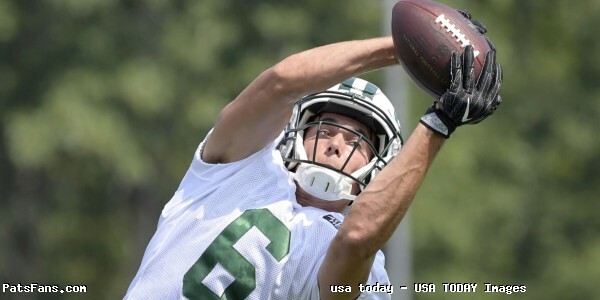 He had a very strong spring with the Jets before tailing off during training camp. While at Cal, he posted outstanding numbers in his final season in 2016, with 92 catches, 1249 receiving yards, and 11 touchdowns. He brings good size at 6’2, 202 pounds, he ran a 4.53 in the 40 at the Combine, but showed excellent quickness in the 3-Cone Drill with a time of 6.74. Hansen is the kind of chain mover that the Patriots like and can be used in a couple of ways. He can work inside and is good at coming back to the ball on dig routes, was a reliable man in the screen game, adept at making the first man miss, was very good at working the boundaries and had great awareness of the sidelines. He has really good hands and is able to occasionally fool a defender and blow past them to stretch the field. 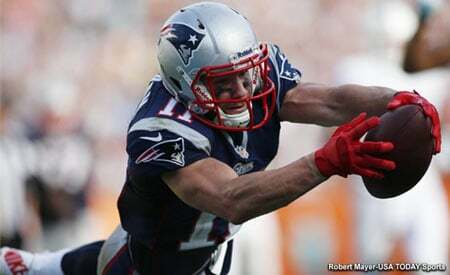 His highlight film work reminds one a lot of Chris Hogan. He plays a bit faster than his timed speed. However, he struggled to gain separation from defenders which is probably why the Jets gave up on him after just one season. Darboh had an unusual path to the NFL as his family fled war-torn Sierra Leone and came to the United States (Iowa) when he was just seven years old. He attended Michigan where he was the team’s leading receiver his last two years, catching passes in 33 straight games. He finished his senior season with 52 catches for 826 yards and seven touchdowns. Darboh has the size/speed combination that most teams look for. He is 6’2, 215 pounds and ran a 4.45 in the 40 at the NFL combine, with a 36-inch vertical leap and 17 reps on the bench press. He was drafted in the 3rd round, 106th overall in the 2017 NFL Draft by the Seahawks. In his only season with Seattle, he caught eight passes for 71 yards. He primarily played on Special Teams and was a valuable asset on the Hawks coverage units. Darboh can play in the slot or outside although at times he seems to play slower than his timed speed. But once he gets his hands on the ball in the open field can turn on the jets where his speed is apparent. He struggles against tight press man coverage and isn’t the quickest guy out of his breaks. He’s a good, tough willing blocker in the running game. His hands are great and suffers a lot of concentration drops. Neither one is a punt returner, although Darboh returned three while at Michigan and could conceivably see some practice work there. It is interesting to note and see how tough the inexact science of the NFL draft is when the Patriots can pick up 3rd and 4th round draft picks from just a year ago off the waiver wire. Ultimately, the onus will be on these players and WR’s coach Chad O’Shea to get these players worked into the system and learn the playbook. Then O’Shea and Offensive Coordinator Josh McDaniels will have to find a way for these players to learn to get a little separation at the line of scrimmage. One of the things McDaniels and the Patriots as a whole are good at is, adapting a player and playing to his strengths rather than trying to force him to adapt to a rigid system. If they can find ways to do that, then these players will have good production here. Don’t expect big numbers from either, however, there is no reason why, if they put the time and effort in and find a bit of chemistry with Tom Brady, that they can’t carve out a role within the Patriots offense as the 4th or 5th options in the passing game. File both of these signings under the “Work in Progress” folder. 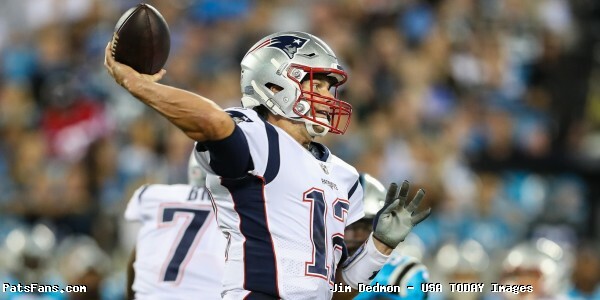 This entry was posted in NFL Commentary, NFL News, Patriots Commentary, Patriots Film Room, Patriots News and tagged 53 Man Roster Projection, Amarah Darboh, Bill Belichick, Chad Hansen, Chris Hogan, Cordarrelle Patterson, Julian Edelman, New England Patriots, Patriots, Patriots wide receivers, Phillip Dorsett, Tom Brady on September 3, 2018 by Steve Balestrieri. This episode is an interview with Adam Jones from 98.5 The Sports Hub. During this interview, you will learn about Adam’s radio history, and his approach to covering Boston Sports Teams. 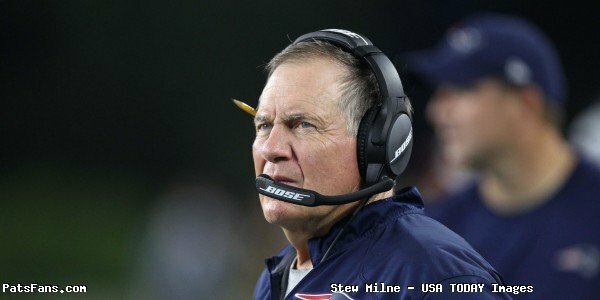 After that, you will hear us debate several Patriots topics that you should find interesting, as it is clear he looks at the Patriots differently than host Russ Goldman sees the team. This entry was posted in Patriots Podcast and tagged 53 Man Roster Projection, Bill Belichick, Dont'a Hightower, Malcolm Butler, New England Patriots, Patriots, Tom Brady on August 25, 2018 by Russ Goldman.